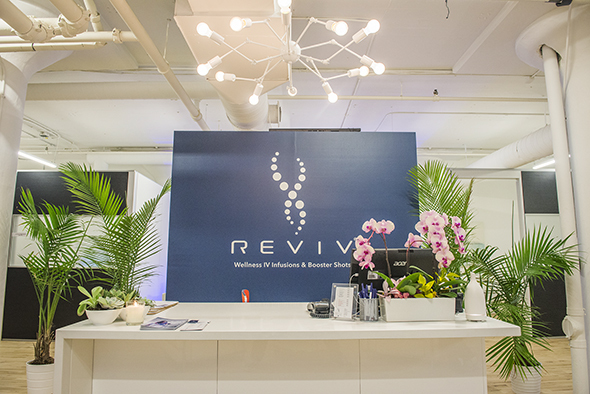 Reviv is a clinic offering vitamin-wellness infusions via intravenous drip or intramuscular injection. 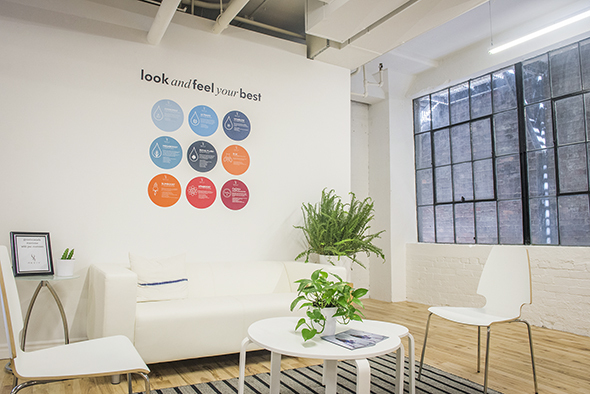 It's the first medical-based organization in Toronto to offer an almost-instantaneous way fill your body with vitamins and minerals - perfect for those drained from an intense workout, sleepless workweek, or wild weekend. The global chain is highly successful in the UK but this King West location is its first foray into the Toronto market. 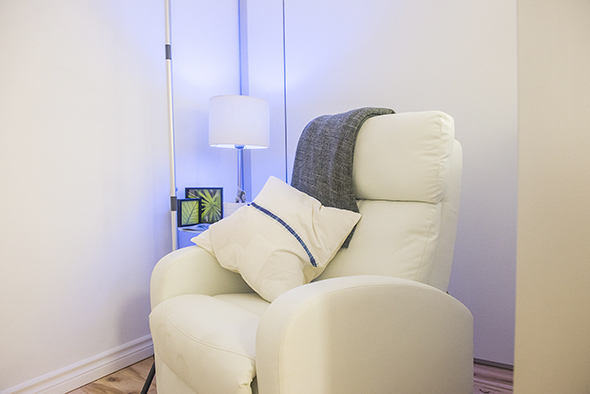 As someone who can't say no to a Thursday night rager (but spends the rest of the time eating well, exercising regularly, and doing all the other mumbo jumbo meant to promote good health), I was beyond excited to see what Reviv could do for a ruthless hangover. According to owner Christopher Chapeau, it's saved him from many a messy morning, so I had to try it myself. Unfortunately/fortunately for me, I managed to hold it together the night before my visit, so I opted for the Megaboost wellness infusion ($150) just to up my energy levels and hydration. Fortunately/unfortunately for an extremely hungover friend, I dragged him out of bed to try the Ultraviv recovery infusion ($150), complete with anti-nausea and anti-inflammatories. There are many other types of infusions, including an anti-oxidant rich option to combat age. 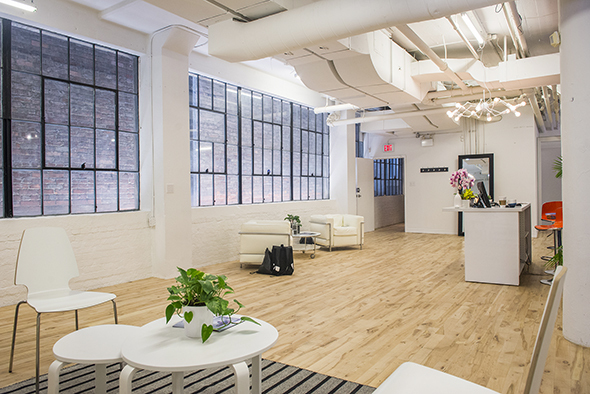 Upon entrance, Reviv looks like a run-of-the-mill beauty spa, minimally decorated with white leather sofas and plenty of fancy plants. We were greeted by Christopher, who checked us in and passed us to one of their registered nurses. In a consultation room, she checked our vitals, made sure we weren't still under the influence, and connected us to a doctor (via video chat, because the future is now) who gave us the OK to proceed. The nurse mixed the magic fluids into IV bags, plugged them into our veins, and situated us in our environment of choice. 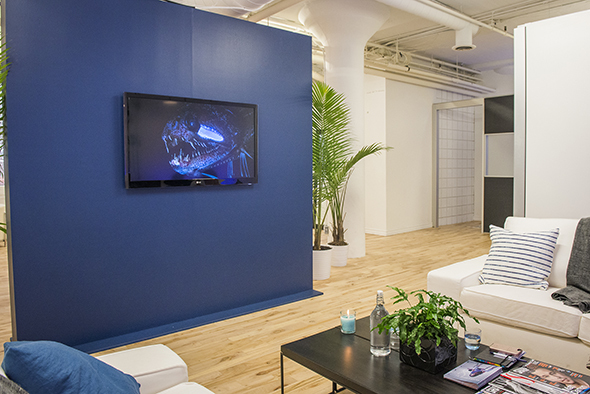 The clinic has three different rooms to hang out for the 20-or-so minutes it takes an IV to empty itself: a super zen private den, a couples' treatment room, and a lounge that plays animal documentaries. They can even bring the service to you with a base fee of $150, should you wish to have a treatment done at work or an IV party with all your friends. 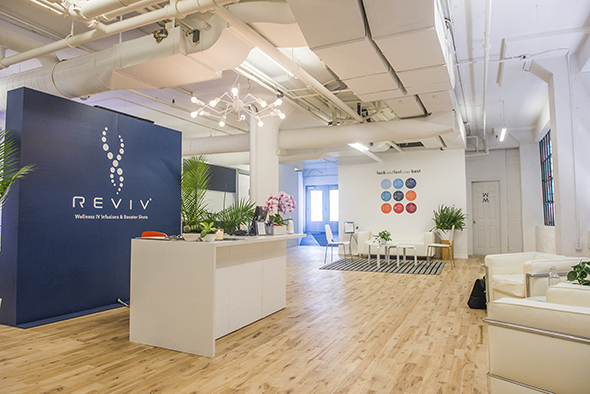 Reviv also offers intramuscular injections that are slowly released and absorbed by your body over days. The B12 shot ($25) is perfect for an energy and immune boost, while the Slimboost ($40) detoxifies and enhances metabolism to promote weight loss. 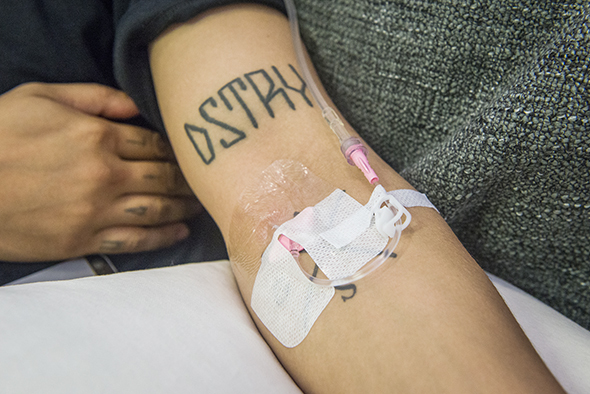 Both IV infusions and IM injections can be purchased in packs of 5 or 10 at reduced prices. When my treatment was completed, I felt euphoric for the remainder of the day; I saw colours brighter and had a skip in my step. However, I felt pretty normal for the rest of the week, so I'm telling myself it's because I'm already exceptionally healthy and can't possibly absorb any more vitamins. My friend, on the other hand, felt almost no immediate improvement with his throbbing headache and nausea - but was willing and able to party just as hard later that night. It seemed like the Ultraviv's anti-hangover properties were delayed by a good 24 hours, because he felt A-1 the next day. I guess every body reacts differently. I'm probably going to stick to drinking coconut water after running around in a drunken stupor, but I'll definitely come back for a health boost.